(Mirror) Spider. Public art project. 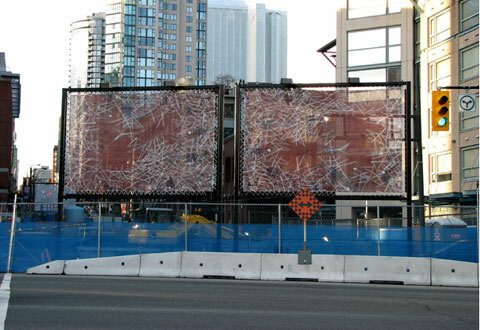 Located at the construction site of Yaletown-Roundhouse Canada Line transit station in downtown Vancouver, 2007.